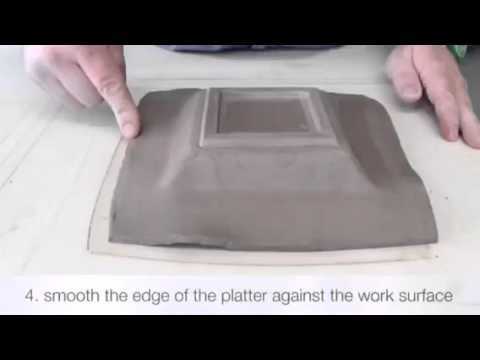 GR Pottery Forms Drape Molds for Moist Clay Slab Building. GR Pottery Forms Drape Molds for pottery are American Made wood fiber products. They are easy to use, budget friendly, and light weight. With drape molds you can quickly make plates and platters, dishes and more in repeating and complementary sizes. 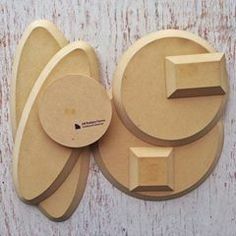 These are super handy in any studio or in the classroom ! Drape and smooth clay slabs over the forms to very quickly make plates, dinnerware sets, and platters. Stack and combine to create larger pieces! The GR Pottery foot making tool cuts a perfect double bevel strip of clay to add a foot ring to your slab built projects. Combine the hump molds with optional spacers to make deeper plates and platters. There are circles, ovals, rectangles and square drape molds for pottery in a variety of sizes. The "Starter Set" is a great way to get a great assortment to get going !